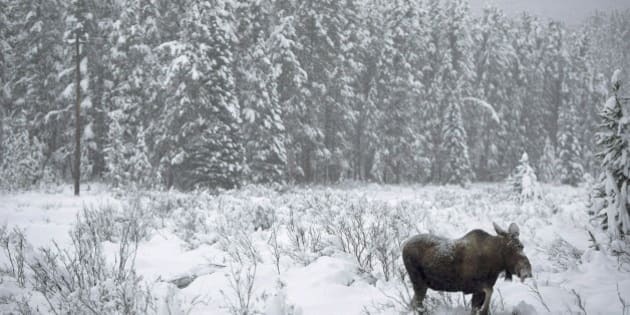 Canada has made significant strides in protecting the vast boreal forest that stretches across most of its provinces and territories, but the world's largest intact forest ecosystem still faces threats, says an environmental group. The amount of boreal forest under some form of government protection has doubled since 2007 to about 12 per cent of the total area, biologist Jeff Wells of the Boreal Songbird Initiative said recently. "That's a big rate of increase in a short time and we're hoping that's going to continue," he said. The boreal forest is the huge swath of green that stretches from Newfoundland to the Yukon. It's home to millions of migratory birds, harbours endangered wildlife such as caribou and shelters hundreds of wetlands that clean water and store carbon. A total of 708,000 square kilometres is now protected by government. Another 460,000 square kilometres are being harvested through sustainable practices such as those outlined by the Forest Stewardship Council, an organization that promotes responsible management of the world’s forests by setting standards, and certifying and labelling wood products. Wells's group also commends the Ontario government for holding onto an objective of protecting half of its northern forests despite development pressure from the mining industry in the so-called Ring of Fire region northeast of Thunder Bay. But Wells warns that some jurisdictions aren't doing so well. Quebec has removed its deadline to protect half its northern forest by 2035 and has downgraded an interim goal of 20 per cent protection by 2020 to 12 per cent. The Yukon has failed to implement mining reforms, despite a successful legal challenge to the territory's free-entry mining system. Wells said the federal imposition of a regulatory "superboard" in the Northwest Territories could erode local control over development. And energy and forestry development continue to hammer Alberta's boreal zone. "Alberta is at the front lines of boreal forest threats and issues," said Wells. "There are more caribou herds that are in trouble there than anywhere." One of the biggest challenges for governments over the coming year will be land-use planning, Wells suggested. "It's basically a question of what will happen to these lands and who will decide. In so many cases it's being decided without any broad-scale thinking about what the future will look like." In many jurisdictions, Wells said, mining interests are given top priority over any other possible use. The Canadian Boreal Initiative hopes to ultimately protect about half the country's forest, which makes up fully one-third of the world's such woodlands and, said Wells, is gaining increasing international prominence. The lead discussion at one of the world's main meetings of conservation biologists this year was focused on Canada's boreal forest, which the International Boreal Conservation Science Panel has called "the world's last great forest." "In the last 10 years, it has become known as a place just like the Amazon," Wells said. "Its values towards birds, towards caribou, toward carbon, toward water — all of those things — are really becoming much better known." Note to readers: This is a corrected story. An earlier version said Jeff Wells worked with the Canadian Boreal Initiative.